Having a wedding in the Cayman Islands, particularly the largest, easily accessible island, Grand Cayman is very popular right now especially for couples from the United States. There are many reasons for this, for one thing Grand Cayman has the sophistication of a stateside town, but the cache of being a British, foreign country just 500 miles south of Miami, Florida. Grand Cayman is visited by several of the major cruiselines, and most of the big US airlines, but the most compelling reason to get married is because it is easy, uncomplicated, and legal world-wide. Most of my clients find me through Google search, so lets imagine that's what brought you to this page. 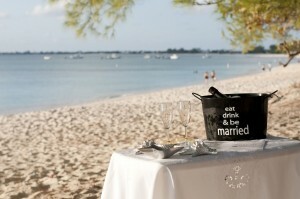 Step One: Find and select your Cayman Islands Marriage Officer. (There are about 90 Marriage Officers in the 3 islands, 87 of these are Ministers of Religion and will perform a religious ceremony according to their faith. There are two Civil Registrars of Marriage on Grand Cayman, I am one of these. I am therefore both a Marriage Officer and a Civil Registrar of Marriages. My ceremonies are civil, or secular, if you wish and contemporary.) Step Two: Provide your Marriage Officer with the documents she needs to apply for and obtain your Special Marriage License. These include the picture page of both passports, any divorce decrees, or spousal death certificates. (Since I have to sign off on this application, it is my responsibility to check that your documents are in order and there is no impediment to your marriage. The cost of the SML is US$250. It is issued by the Governor's Office, and your Marriage Officer must be in possession of this prior to the wedding ceremony taking place). Step Three: Complete the application for a wedding form found under Packages on the Homepage of this website, and make a deposit of US $250 to secure your date and time (I have a busy practice, and I do not hold your date and time without a deposit. If you have to cancel your wedding and you give us 72 hours notice, most of your deposit is refunded. If your ship fails to port because of weather, then we try to be as accomodating as possible in refunding your deposit minus cancellation fees from our vendors.) Step Four: You MUST do three things prior to your wedding taking place. Sign your application SML form, supply proof that you are a visitor eg ship's card or white immigration card, and pay the balance on your wedding either by cash or credit card. (If you are arriving on the weekend or a Public Holiday, we can make arrangements to get your Special Marriage License in advance. In most cases however you will come to our office in George Town to complete your documentation unless exceptionally, we have arranged to come to your hotel. Please note there is an additional charge for Sunday weddings, and a charge for travelling outside the George Town or West Bay area). Step Five: There are three things in the Wedding Ceremony I am required by law to do. I will explain these when I meet with you before the ceremony. Apart from these three things you are free to design your own ceremony, create your own vows or use examples which we provide. ( You are NOT required to use rings, carry flowers, dress in any particular way, or have a religious ceremony. You do not have to have a cake, or toast each other with champagne. If you wish any of these items we can advise you, or supply them. If you would like a non-denominational prayer you should let me know, and I will be happy to oblige. We also provide professional photographers or videographers, but we are happy for you and your friends and family to take as many photos or videos as they wish with their own cameras. NB: It is illegal for visiting professional photographers and other wedding professionals to whom you pay a fee, to work in the Cayman Islands without a Gainful Occupation License, or Work Permit. If you are in doubt, please ask us. Step Eight: This is my responsibility. 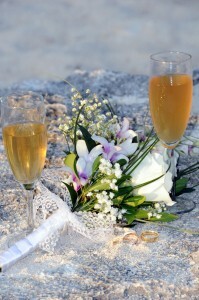 I provide you with a legal marriage, I give you a decorative certified copy of the Marriage Register at the ceremony, and once I have filed your marriage with the government's public records office, I send you, usually by air-mail within 3 days, your Registered Marriage Certificate which is the legal proof of your Cayman Islands marriage. ( Whether you choose to use my services or not, I urge you to ensure that your Cayman Is Marriage Officer fulfills his /her legal responsibility to file your marriage and give you your Registered Marriage Certificate. If you were married in Cayman prior of 2000 when this requirement came into force, you may contact me and I will secure your Registered Marriage Certificate for cost + a small handling fee. It is unusual for you to need more than one RMC. I will instruct my clients what steps to take when they return home.) In some cases, due to a prior wedding commitment I might be personally unavailable for your wedding. In such cases you will have the services of one of my carefully selected associates. You may also stipulate a male or female Marriage Officer, or a religious or non-religious ceremony. For most bookings made 2 -3 months in advance, I will officiate your wedding, vow renewal or wedding blessing. You can see me in action on YouTube, just search for "Joy Basdeo". 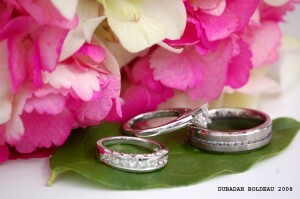 I am committed to ensuring that you have an enjoyable wedding day in the Cayman Islands. Whether you come by plane or be cruise ship, whether you have a basic no frills wedding, or a luxury wedding costing thousands of dollars, I provide the same uncompromising standard of quality and professionalism.